This summer, with 3 months to spare before starting a grad scheme in Accountancy, I decided to apply for an internship at Launch22. This was partly for the opportunity to add something a little different to my CV, partly to meet some awesome & inspiring people, and partly for the fun of it! After chatting to Tom and Fede, we agreed that I could help L22 with their marketing for 6 weeks, which was something I hadn’t done before, and while I’m not looking for a career in marketing, I felt that having some experience might be a useful tool in the belt for the future. On day 1, I immediately got the impression that L22 isn’t your typical workplace. The first thing you see is the space, which is probably the nicest office I’ve ever seen (except for maybe Google, but they have a bit more budget than Launch!). Anyway, think hipster coffee shop meets comfy chill out zone meets Kew Gardens greenhouse. You’ve really got to see it to understand what I’m getting at. It’s nice. The second thing I noticed was that everyone so friendly, including L22 staff, mentors, coworking space members, incubator programme incubatees, CEOs, freelancers etc etc etc. People came over to introduce themselves and I found that throughout my time at L22 I could rely on anyone in the space to provide me with a dose of positivity, enthusiasm, and occasionally, ice cream/beer. Lots of credit has to go to Fede & Tom for creating such an awesome atmosphere! Over the course of the 6 weeks, I tried to throw myself in as much as possible, and got involved in a lot: social media, event planning & marketing, interviewing startup founders, hackathons, attending incubator programme seminars, writing blogs, and helping L22 members to test their products/services! To write about what I learned would be far too long, but in short, a lot: from learning technical marketing skills to simply having a better understanding of early-stage start-ups and how they work, it’s definitely one of those things where you get out what you put in. I also met some very cool people who I now consider friends. We’re friends right guys? Guys? 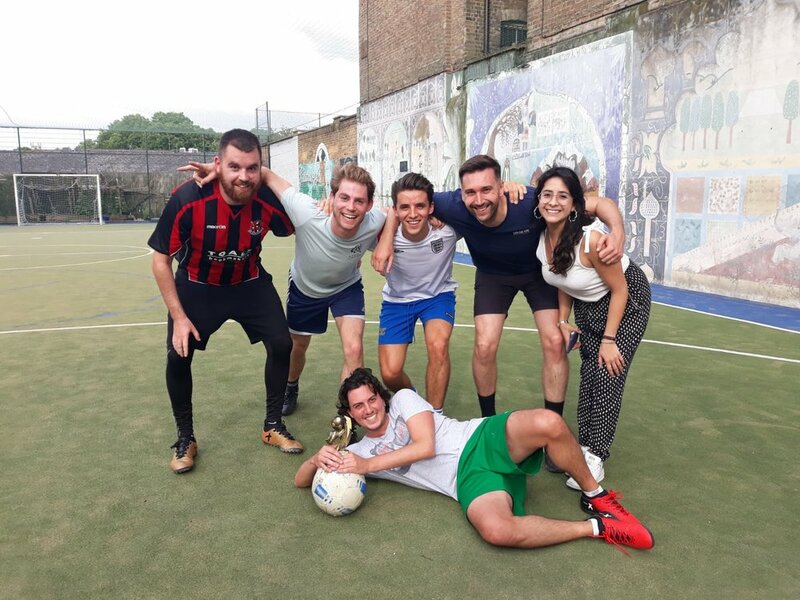 My advice to someone considering an internship at L22 would be: go for it, be yo-self, say yes to everything, and most importantly, be the top scorer in the Launch22 football tournament. That was my philosophy, and I had a pretty damn good time.